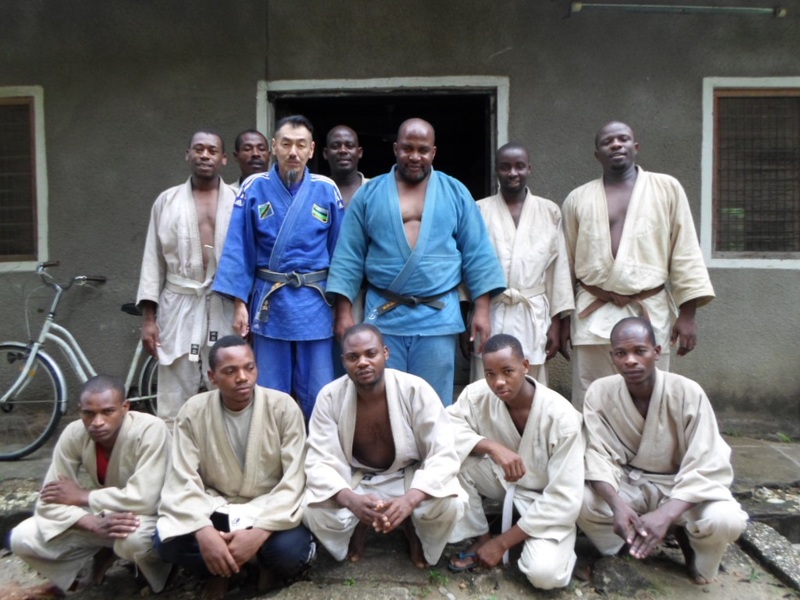 Mr.Tsuyoshi Shimaoka, Honorary President of ZJA visited the Dojo (training hall) of Police Team. 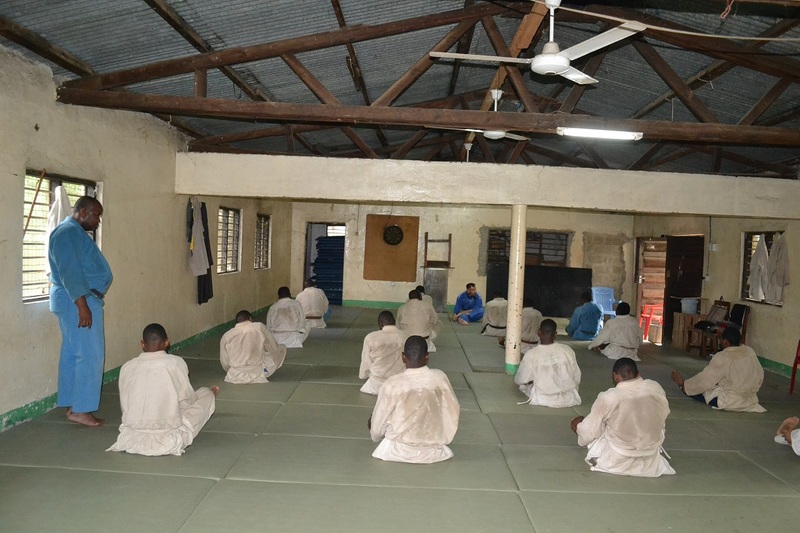 Police Team also trains very hard under Haji Hassan. 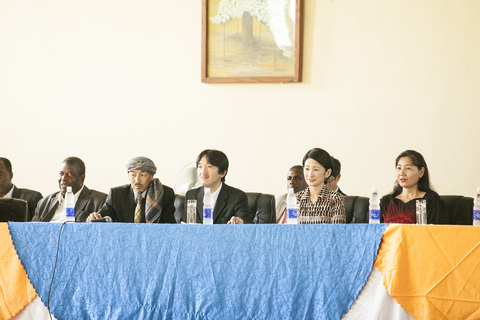 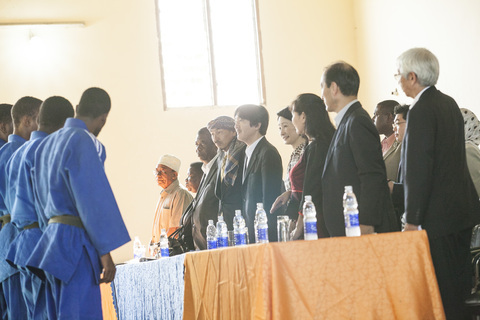 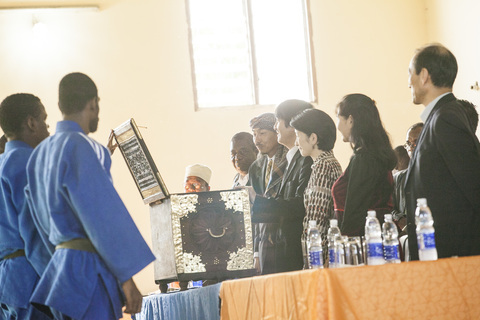 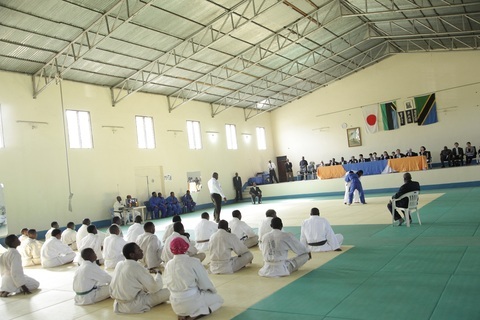 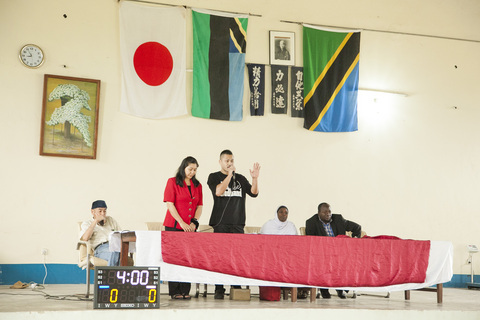 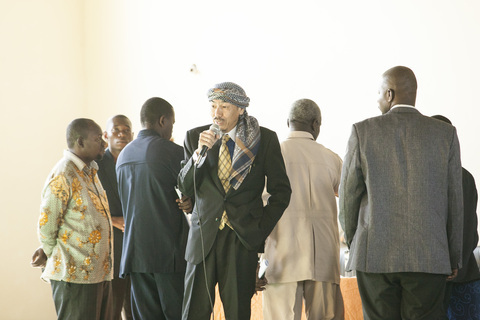 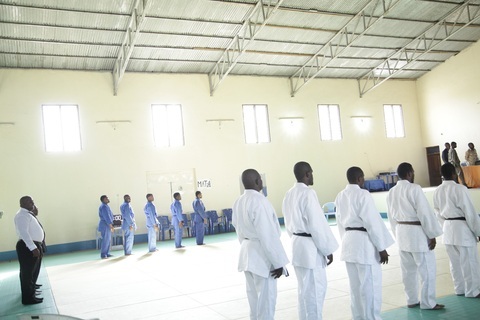 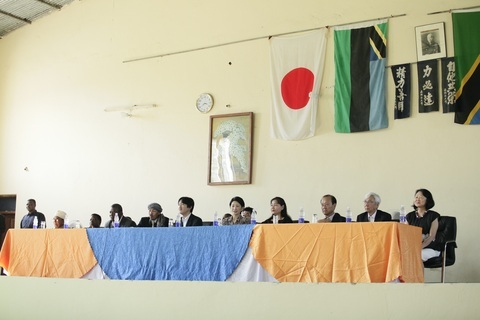 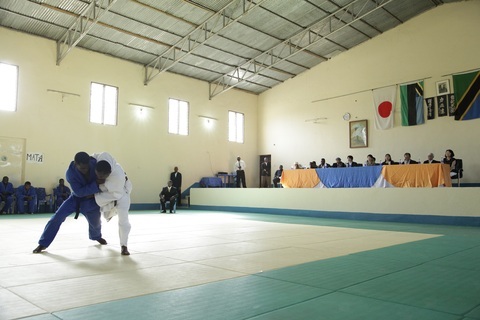 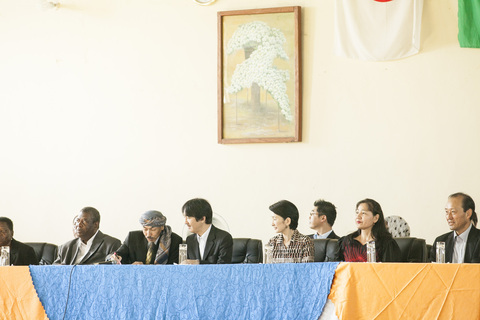 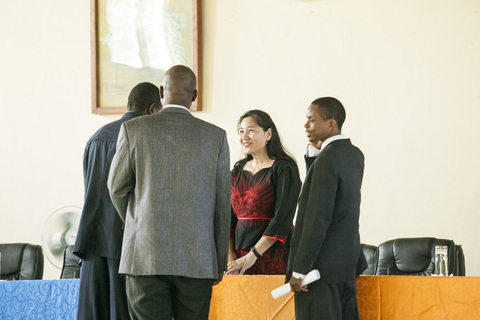 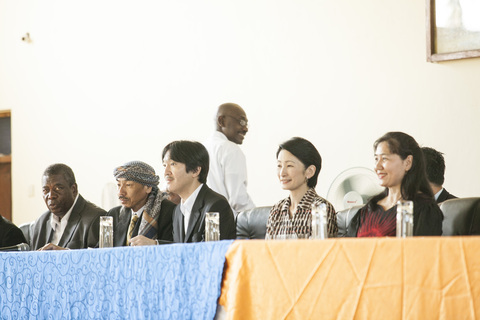 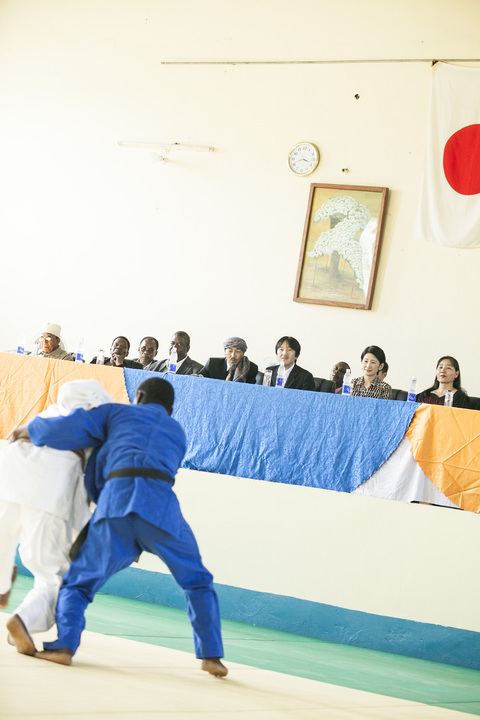 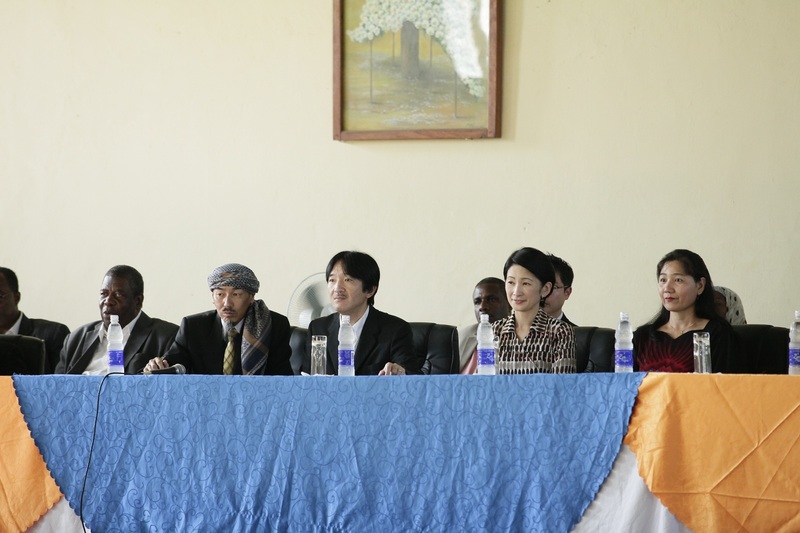 Japan's Prince Akishino, and Princess Kiko visited Zanzibar Budokan　to watch Judo and encourage Judo Players at Zanzibar Budokan, situated in Zanzibar Amaani National Stadium, on 04/July/2014 (Friday). 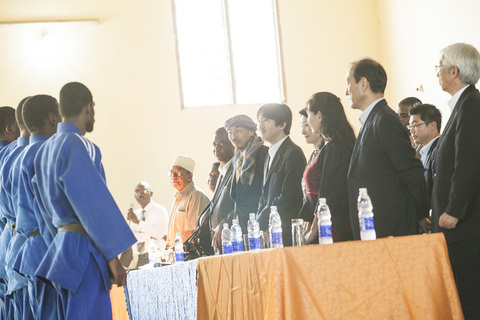 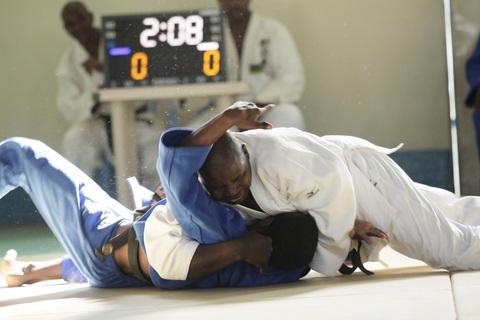 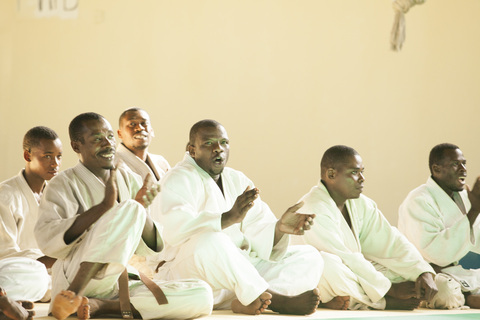 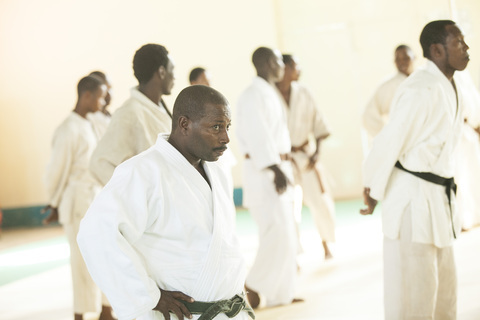 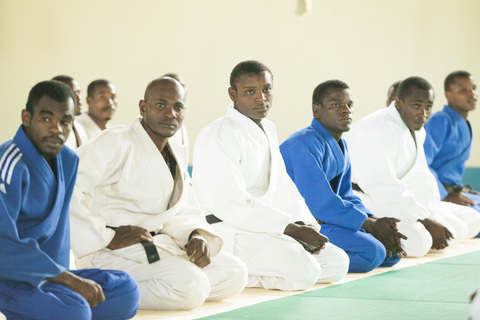 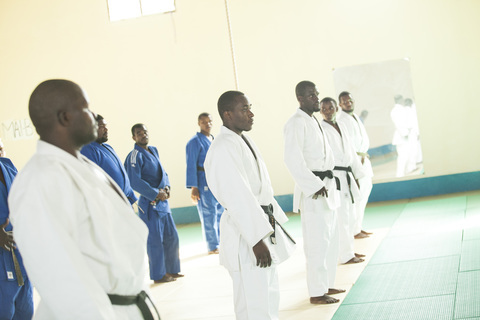 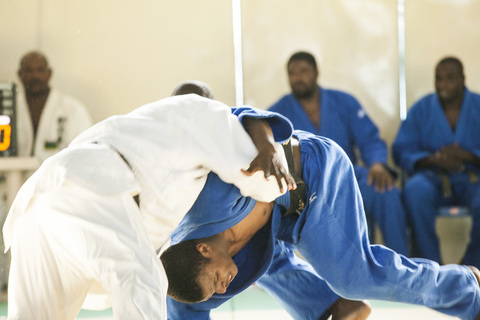 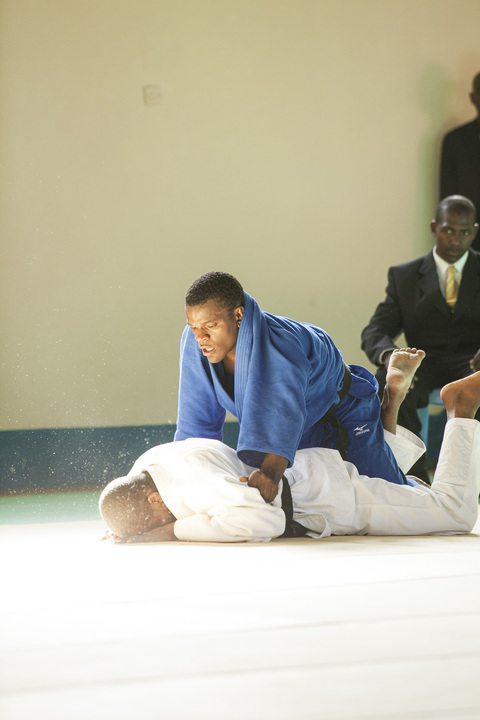 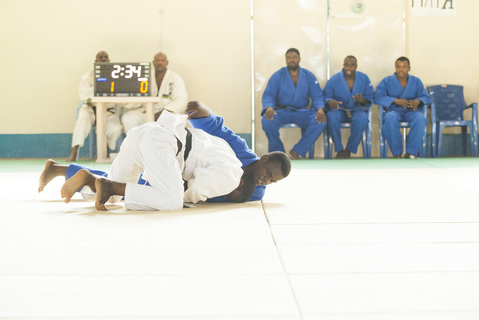 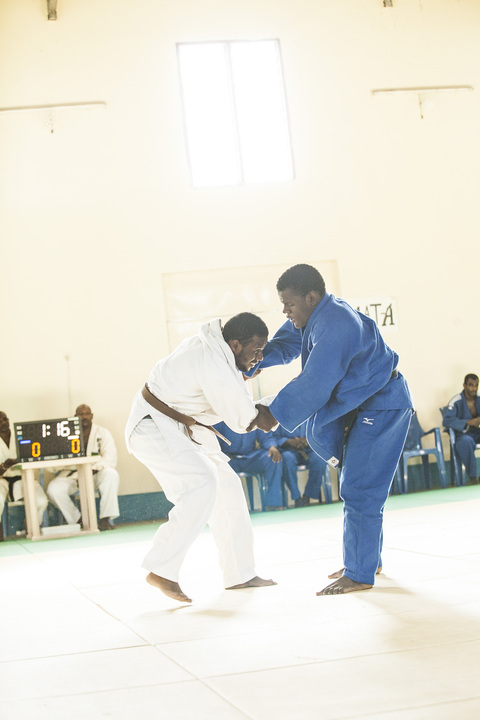 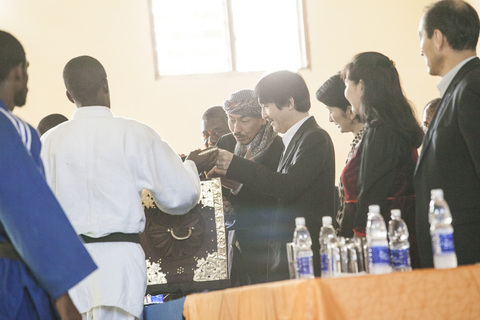 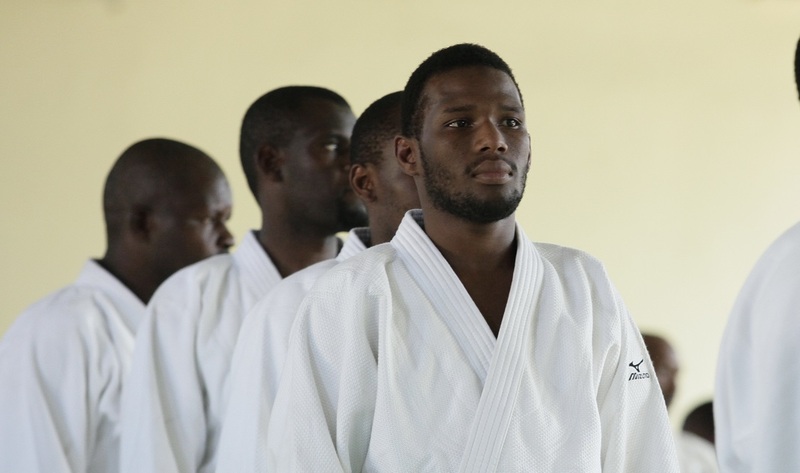 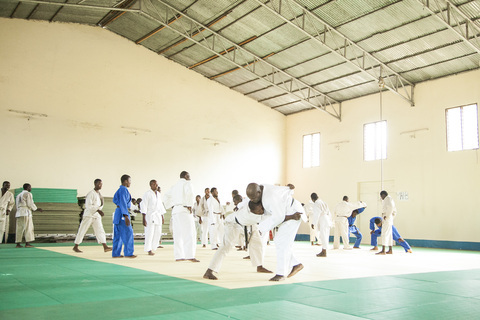 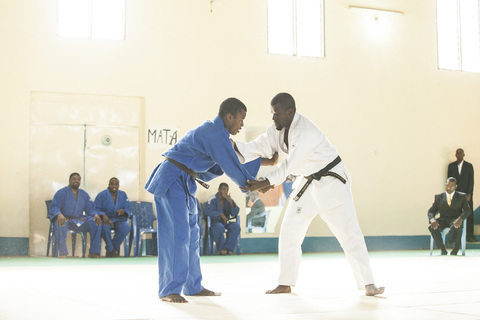 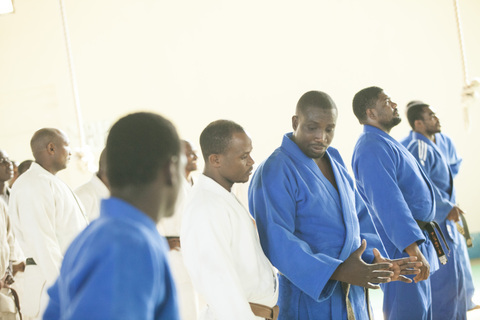 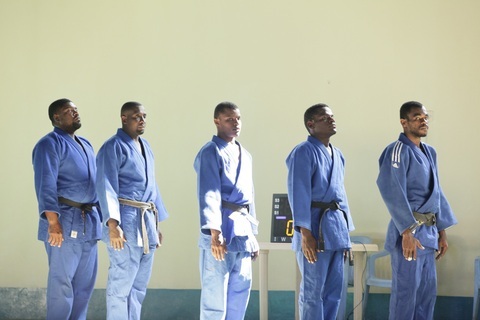 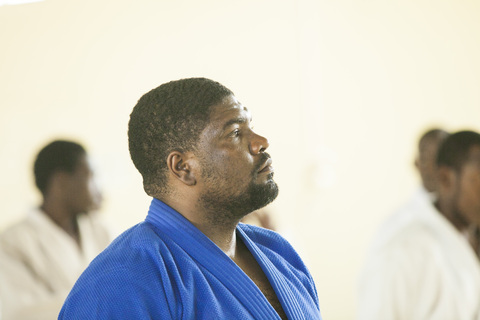 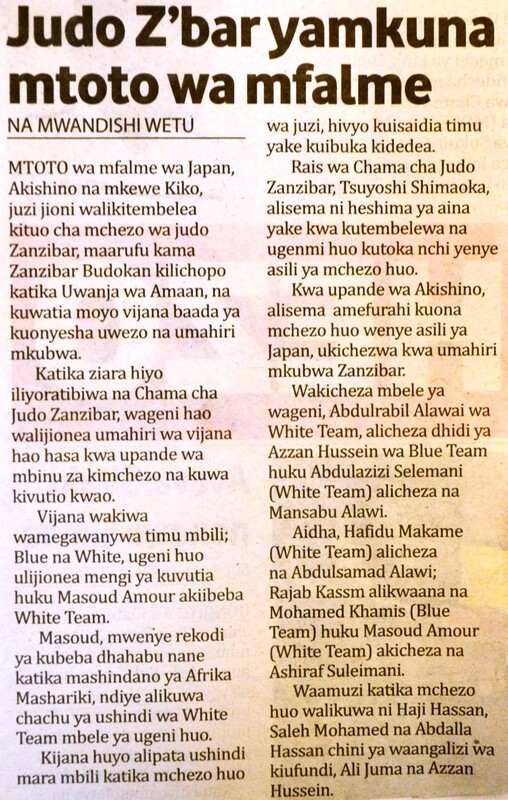 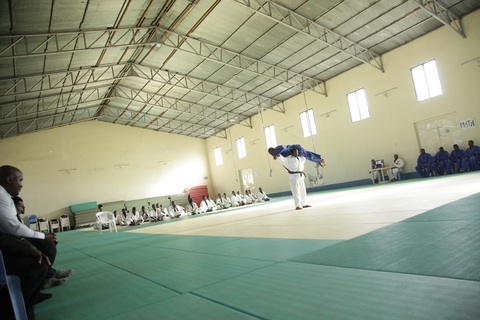 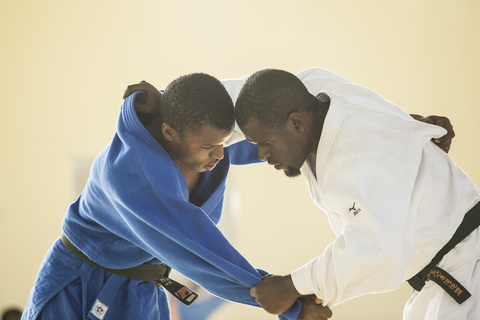 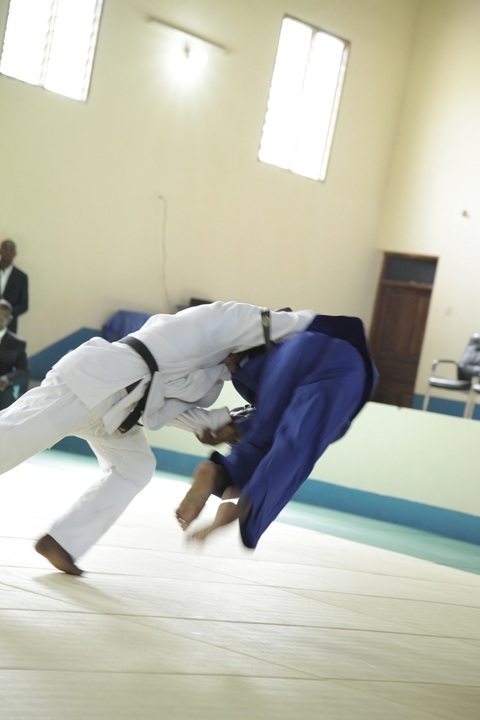 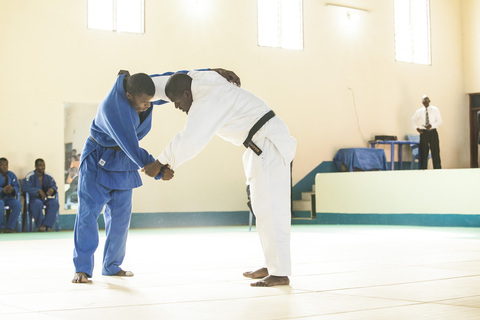 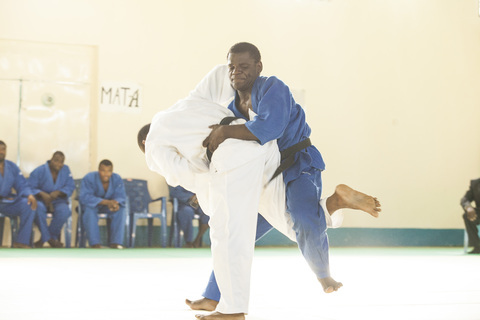 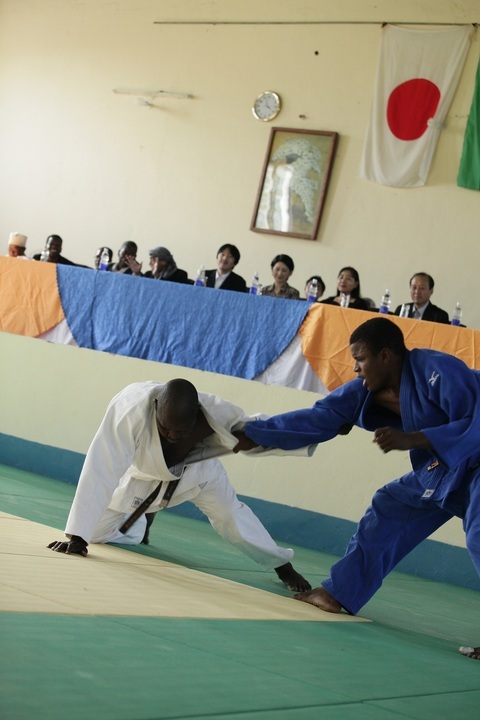 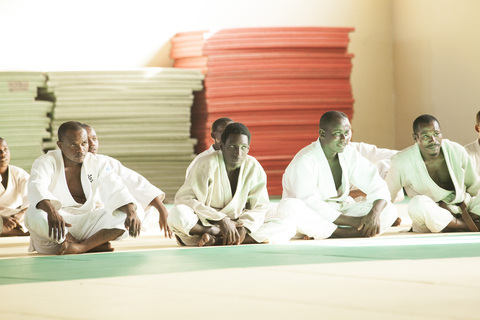 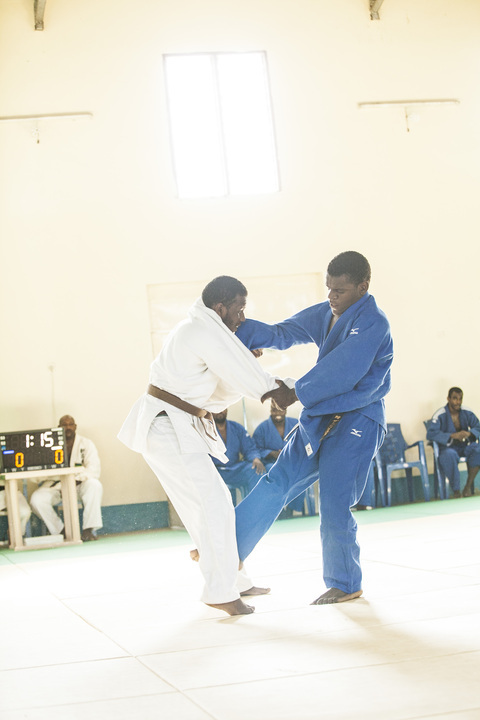 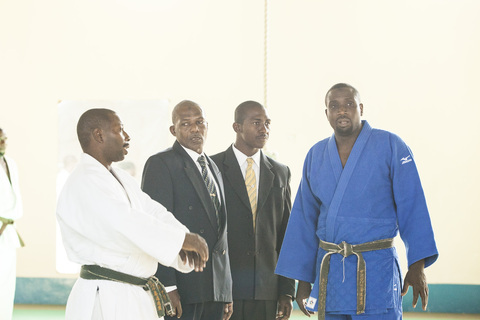 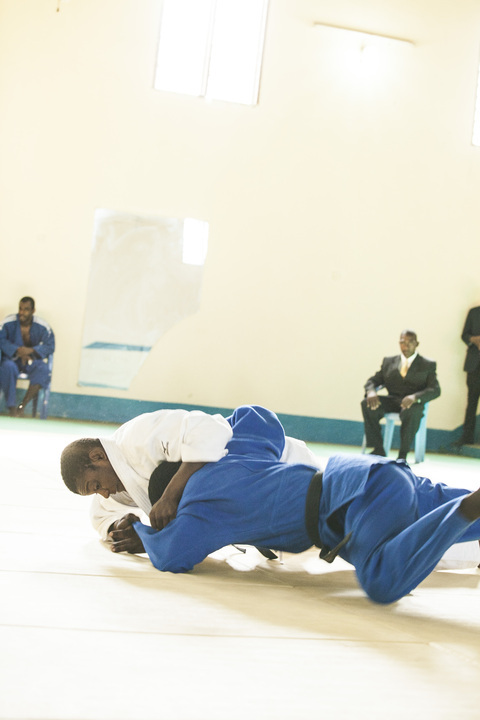 Zanzibar Judo Association organized Team Event by National Team members and showed standing techniques for Japan’s Prince and Princess Akishino. 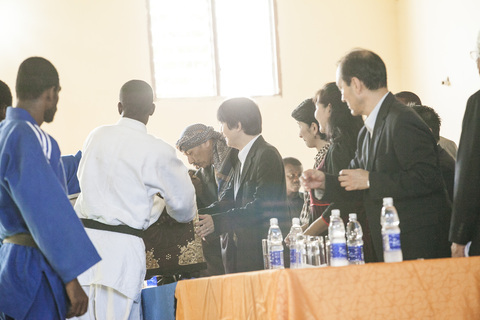 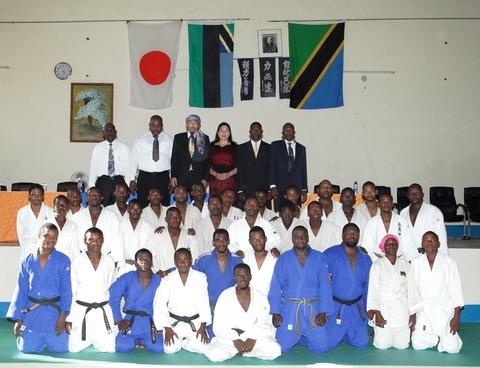 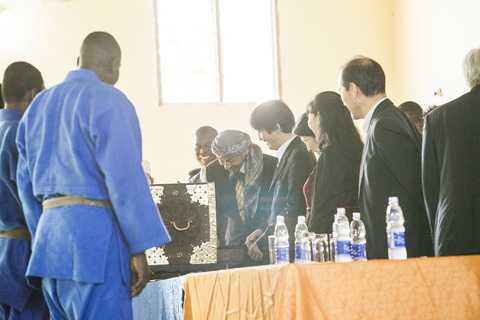 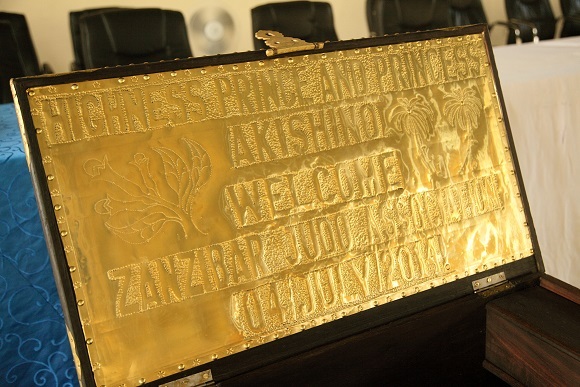 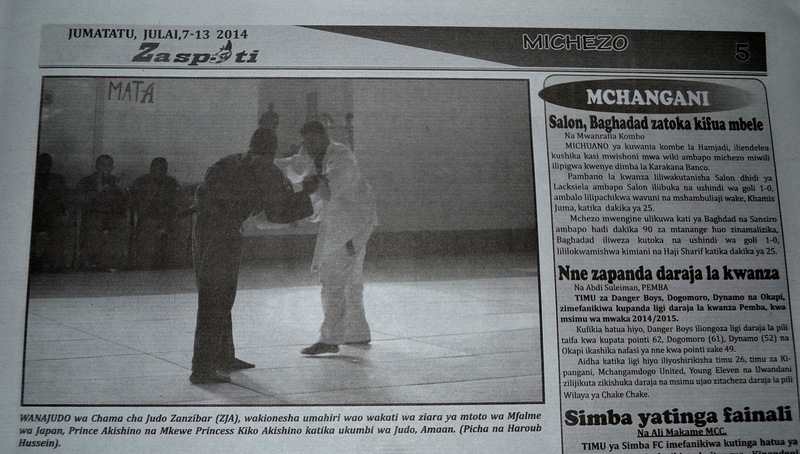 Zanzibar Judo Association were very proud of receiving Japan’s Prince Akishino and Princess Kiko. 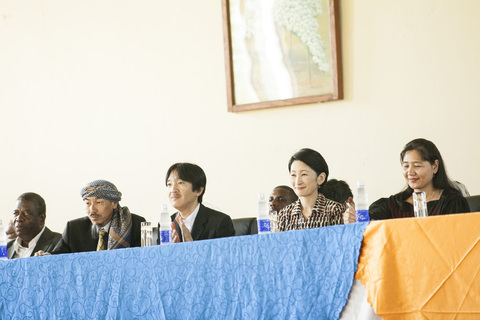 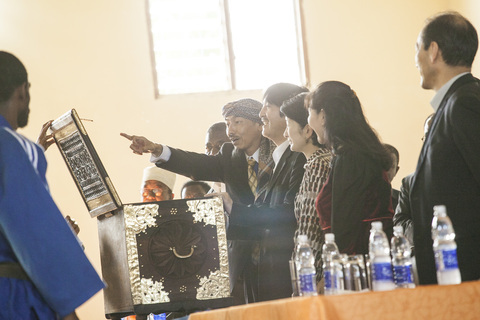 More photos are here; 他の写真はこちら→"Japan's Prince and Princess Akishino visit to Zanzibar Judo 2" and "Japan's Prince and Princess Akishino visit to Zanzibar Judo 3". 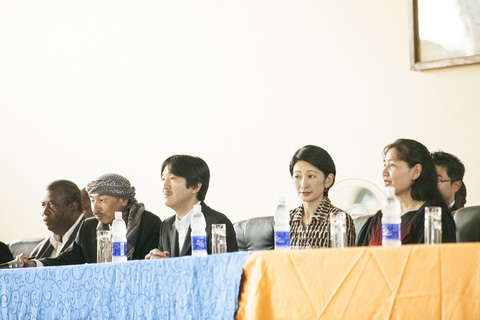 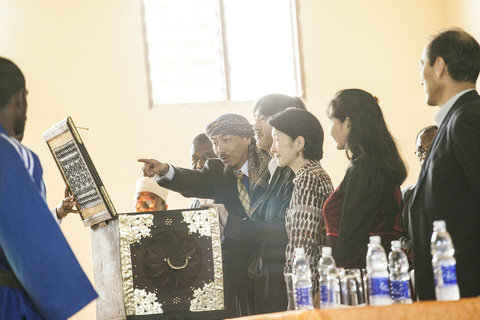 from the second from left side, Mr.Shimaoka; honorary president of ZJA, Prince Akishino, Princess Kiko and Mrs.Yumiko Shimaoka; Manager of ZJA. 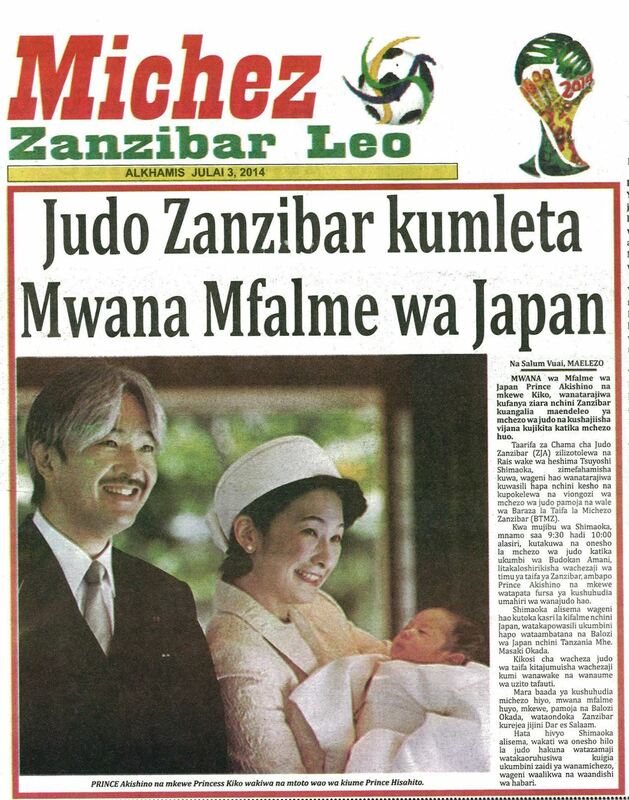 It was introduced on the newspapers in Tanzania. 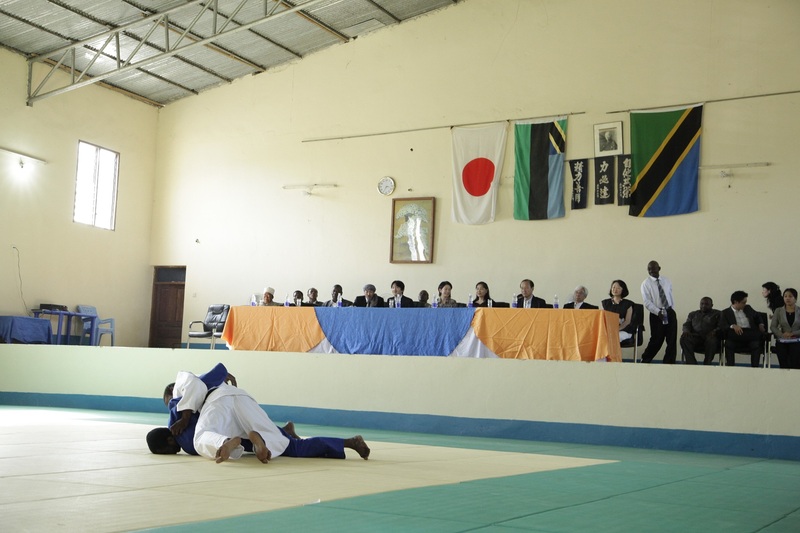 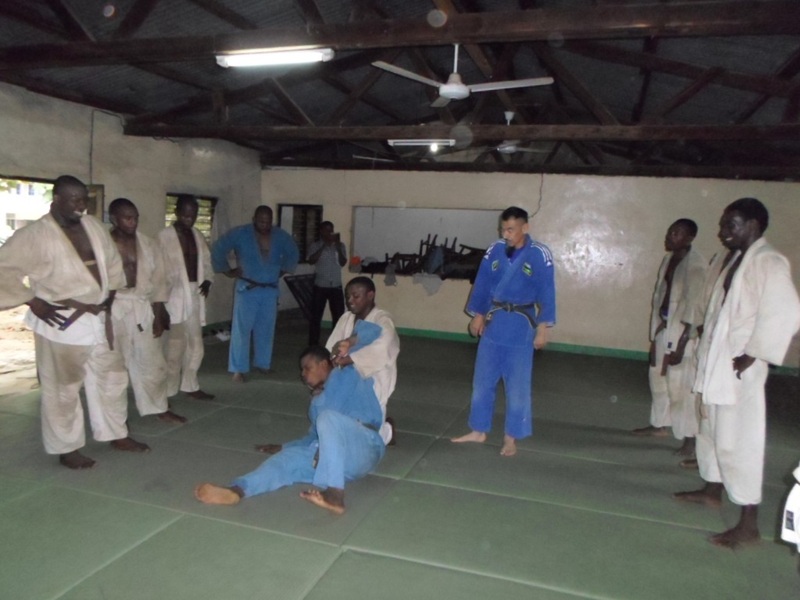 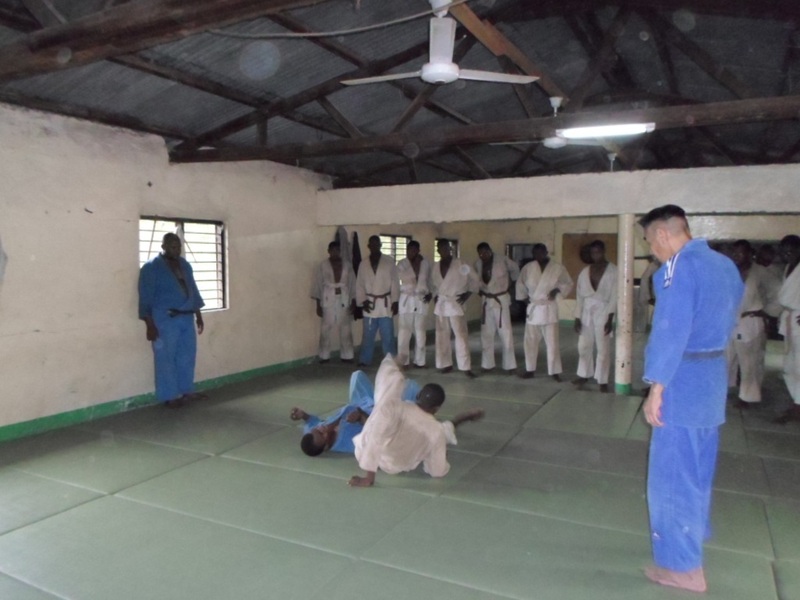 Zanzibar Judo Association organized the 2nd Chiropractic seminar from 27/Jun/2014 to 3/Jul/2014 at Zanzibar Budokan, guidanced by Mr. Kouichi Okui from Japan. 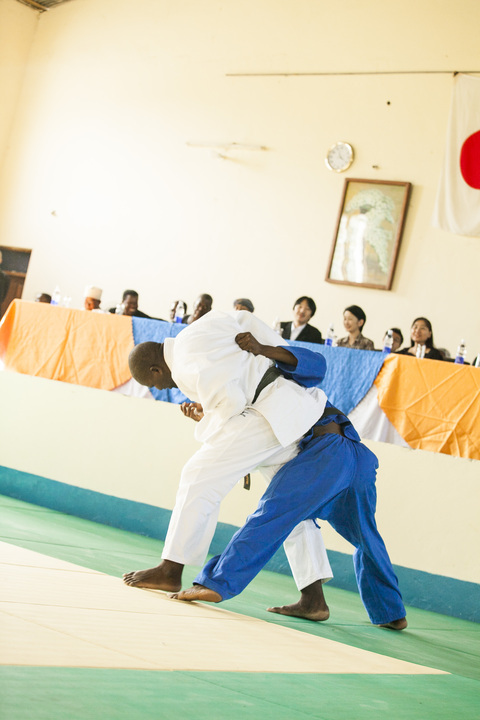 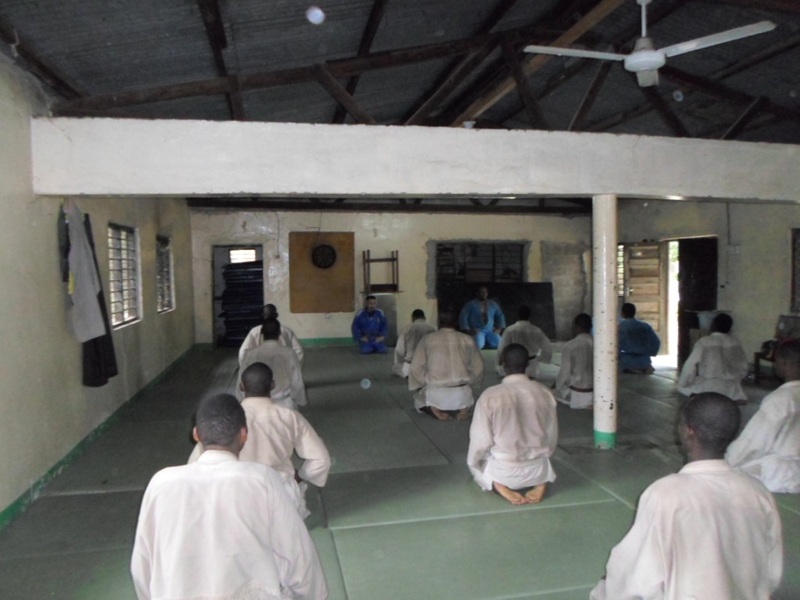 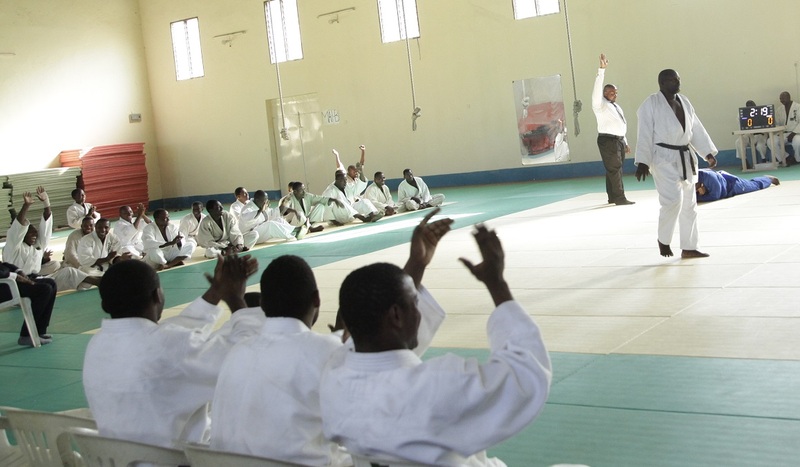 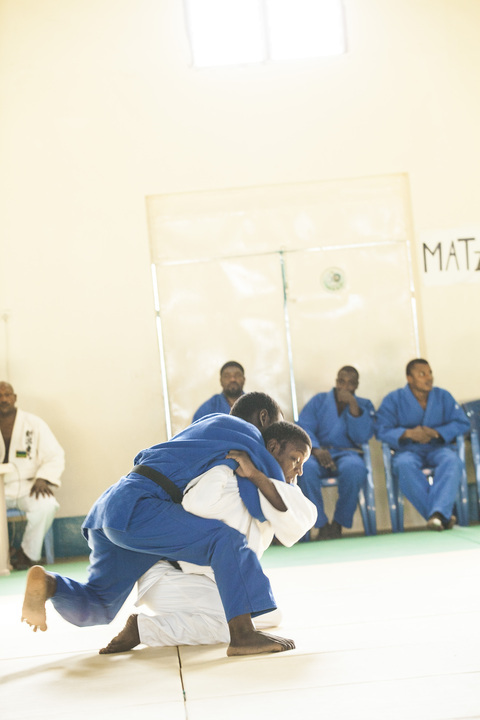 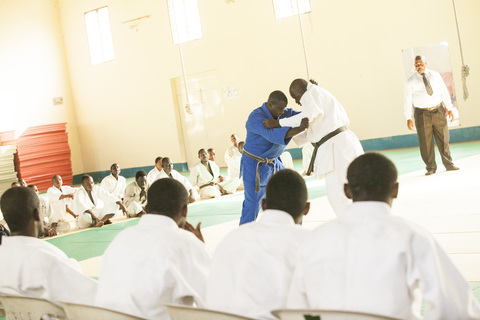 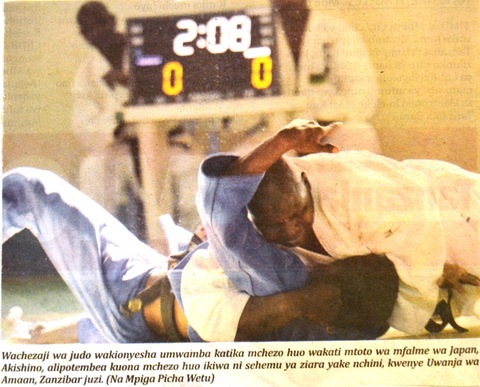 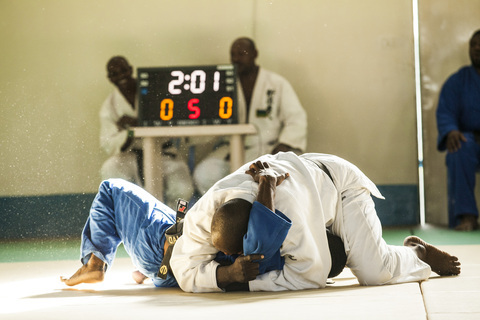 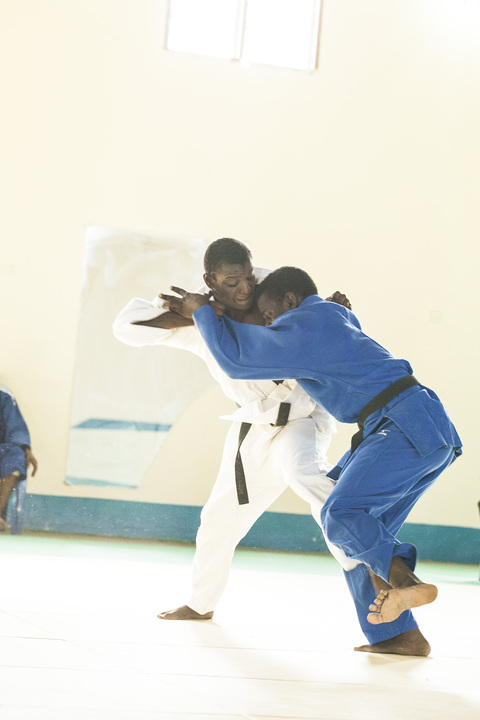 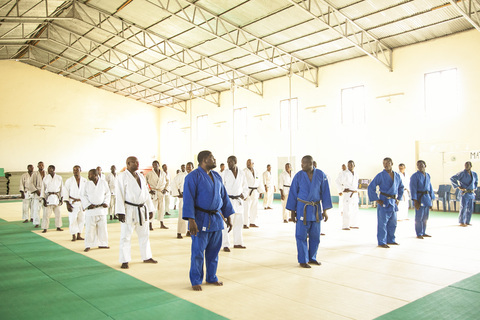 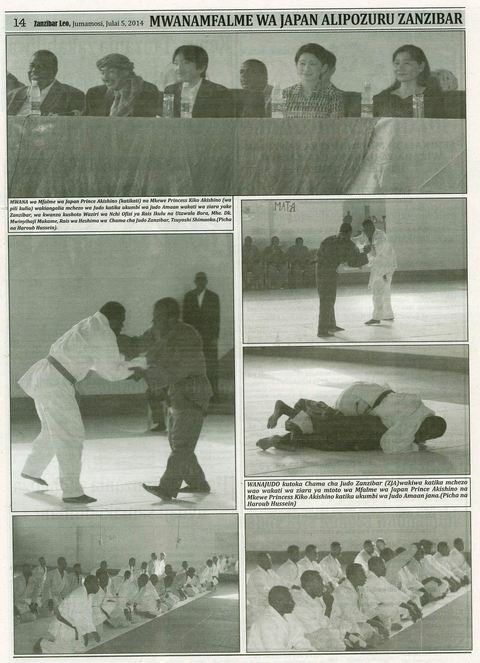 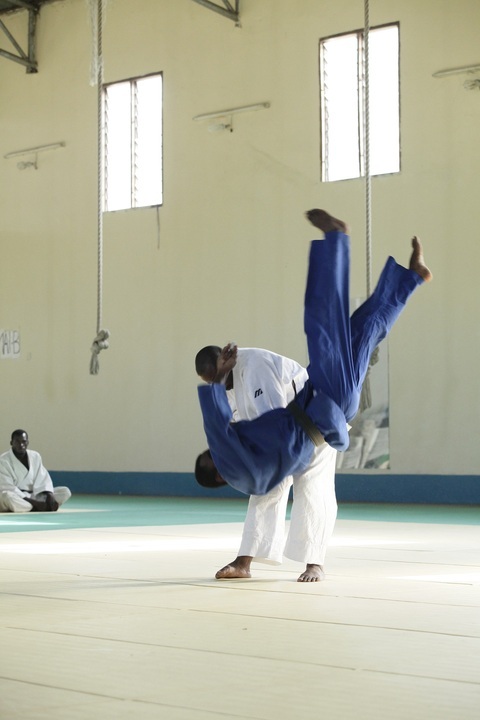 This is the 2nd chiropractic seminar organized by Zanzibar Judo Association. 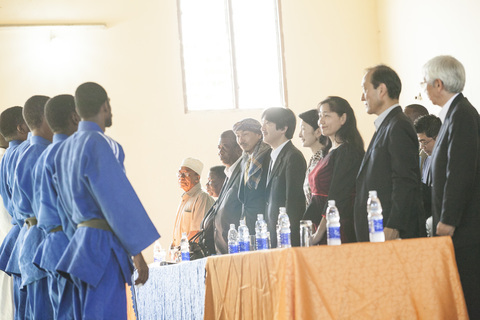 The 1st time was opend on Jun/2013, please refer to previous article "Chiropractic seminar"
This time, not only the members of ZJA, also the members from Truck and Fields, Karate and some of fitness clubs joined this seminar, totally 60 people. 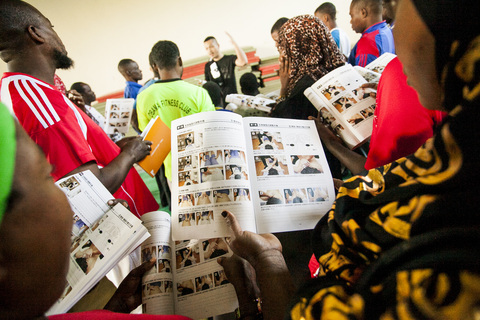 Among this, 23 people passed and got certificates. 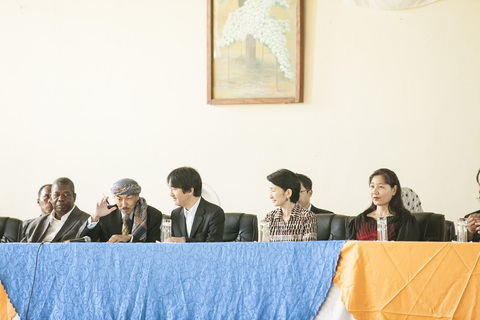 These photos are taken by Mr.Takahiro Arioka, Japanese photographer.